How Precise Is Your Pi? Well first of all, pumps have rotating parts. That means their many circular features share the commonly known relationship of circumference over diameter known as ‘pi’. Of significance to those who design, specify, maintain and repair pumps is the precision of pump components. 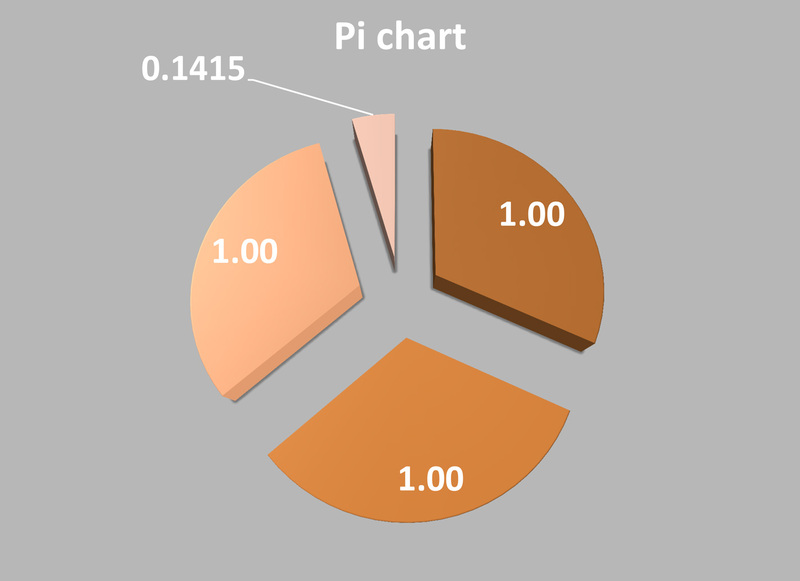 Taking the typical Pi Day as representing the value of pi rounded to two decimal places, we have a theoretical circumferential accuracy to within 0.05% or 1 part in 2000, excluding machining tolerances. This is well within the precision required for the impeller outside diameter and plenty good enough for non-critical features such as the OD of spacer sleeves or end cover through-holes for shafting. March 14, 2015 is special because there is a theoretical instant as we pass 9:26 AM or 9:26 PM when the combination of digits representing the date and time 3-14-15 9:26:53, ad infinitum, with the decimal point placed behind the first digit, are together exactly equal to pi. The abstract precision of pi on this not-so-typical Pi Day is exact and this happens but once in a hundred years. If we take this year’s Pi Day as representing the value 3.1415, skipping the hours, minutes, seconds, etc., its precision relative to the exact value of pi is better than 1 part in 10,000. That level of precision readily encompasses the tolerances required for pump shaft journals and bearing fits. Interestingly, if you didn’t get your fill of pi this March, then we have a follow up on July 22nd, called ‘Pi Approximation Day’ where Aristotle’s ratio of 22/7 can be celebrated. In decimal form this is accurate to two decimal places, but taking the calculation out a few more decimal places, the circumferential accuracy is to within 0.04% or 1 part in 2500. This accuracy happens to be somewhat better than that of a typical Pi Day. Except next year when the date value could be said to represent pi rounded to the 4th digit, 3.1416. In that case, the accuracy rises to better than 1 part in 400,000. In the world of pumps, most of us need not be concerned with this level of precision. So here’s to the instants of exact pi and a whole day to celebrate our PiCentennial.